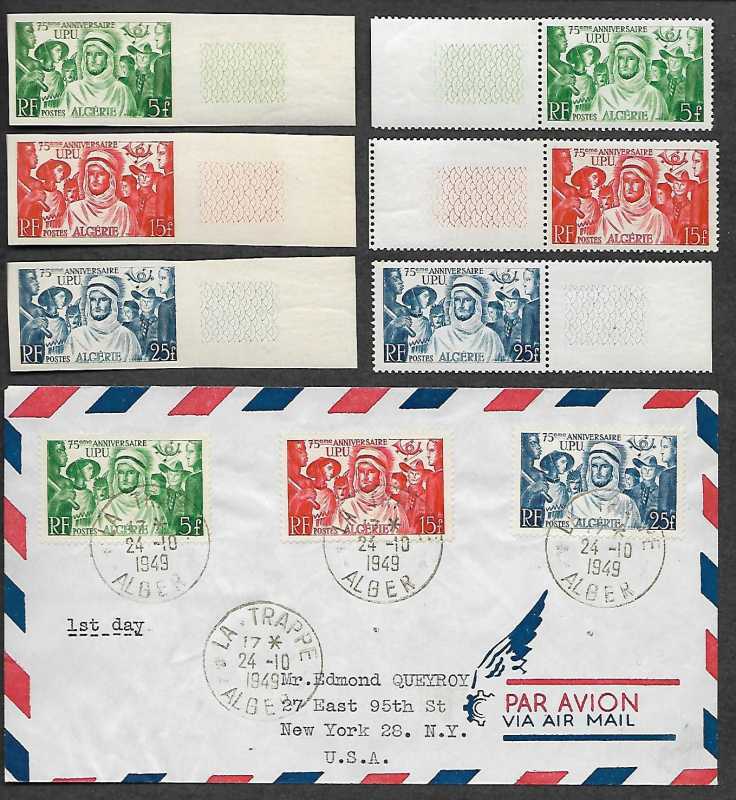 The committee received a query regarding the UPU 75th Anniversary in 1949 and the stamps issued by Algeria on October 24, 1949 (Sc 226-8; SG 295-7; Mi 341-3). The question being: Are there any reported constant plate flaws on any of these stamps? Attached is scan of the stamps and of an FDC. If you do have any information please either reply within the Forum, or contact the Secretary or Webmaster - details at the bottom of the page. I am unable to help personally, being interested only in the postal history of the Algerian Sahara. If there are no other members of the society who can answer this query I will be happy to introduce it either to Col.Fra in France or perhaps better the Phil.E.A., that is the Algerian collectors society also in France.